The Falcons pull away in the second half to beat the Shipbuilders. 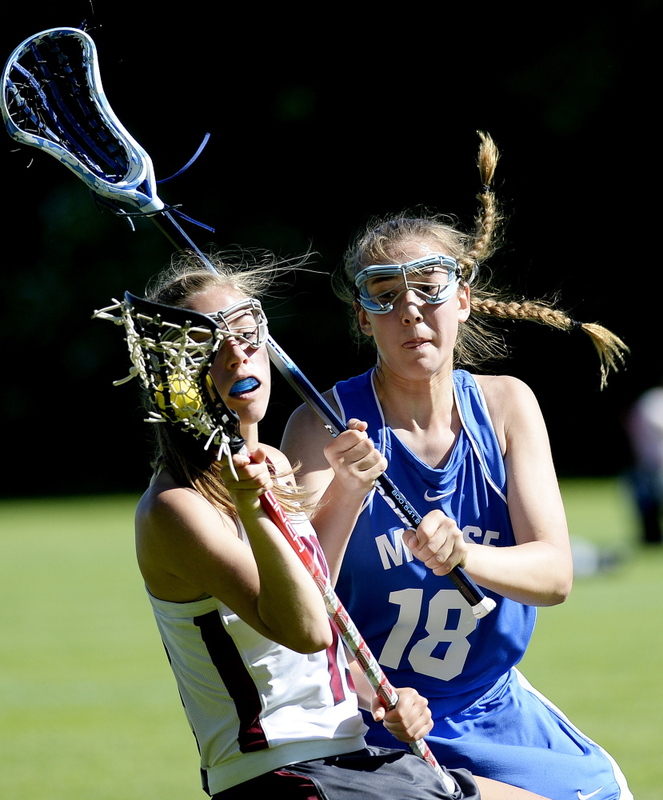 FREEPORT — Thanks to a strong second half, Freeport will play in the Eastern B girls’ lacrosse final for the second time in three seasons. The second-seeded Falcons held the No. 3 Shipbuilders scoreless for nearly 25 minutes to run away with a 13-6 win Monday in a regional semifinal. They improve to 11-2 and advance to play top-seeded Yarmouth (11-2) in the Eastern B final Wednesday. Morse ends the season 11-3. Freeport took the lead for the first time when Lily Johnston scored from Broderick with two minutes left in the first half and took a 5-4 lead into halftime. Neither team was able to take control in the first half, when they combined for 19 turnovers. The Falcons appeared rusty early in the game. They hadn’t played since June 4, when they ended the regular season with a 14-8 win against North Yarmouth Academy. “It was our first game in nearly two weeks and we had to remind ourselves how to play our game,” Kurry said. Bronwyn Morrissette, a junior middie, helped Freeport maintain possession of the ball by winning 14 of 21 midfield draws, and the Falcons use their speed to gradually open up a seven-goal lead (11-4) with less than 10 minutes left in the second half. “We have players on the team who are really good at detecting when the defense is flat on its feet, and we use our speed to beat them,” Broderick said. Johnston led all scorers with four goals for Freeport. Courtney Broderick and Nina Moore each scored two goals, and Emily Johnson and Elizabeth Martin each scored one goal. Ann Tolan led the Shipbuilders with two goals. Sophie Sreden had a goal and an assist. Grace Koslosky, Noa Sreden, Isabelle Paulus each scored one goal, and Madison Savary and Ruth Nadeau all had an assist. 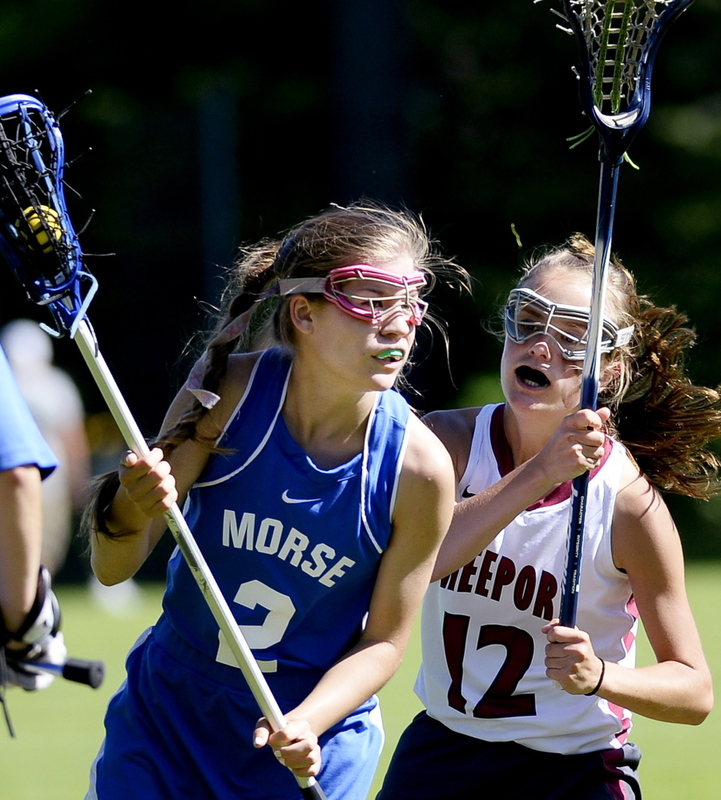 Morse goalie Catherine Sener and Freeport goalie Molly Lane each had six saves. In the regular season, Freeport beat Morse 10-9 in overtime on the artificial turf in Bath. Freeport and Yarmouth met in the regular season, and the top-ranked Clippers won 14-3 in Freeport on May 5. 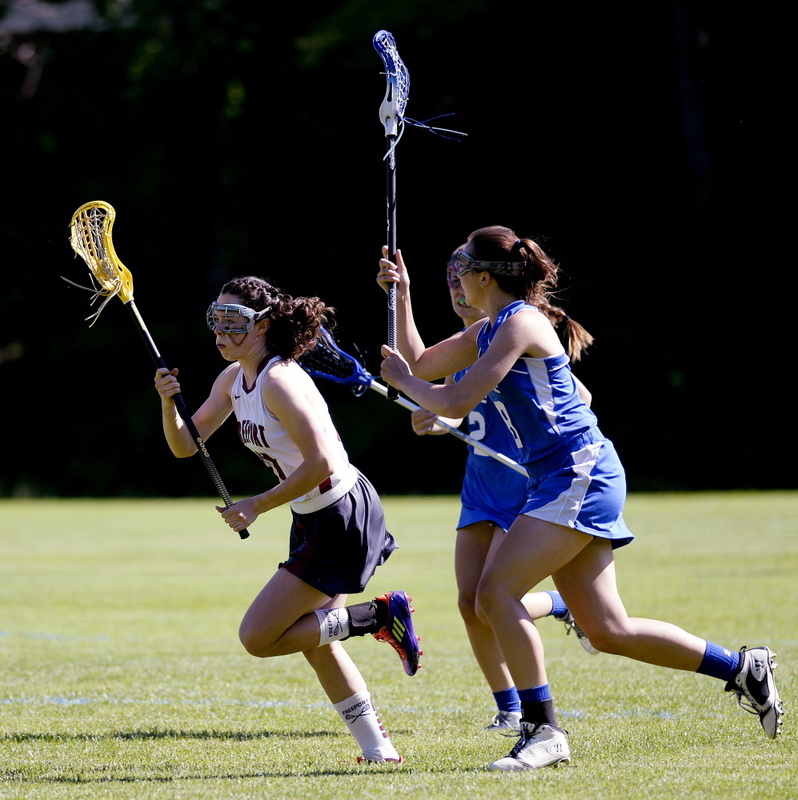 Yarmouth advanced to the regional final with a 9-7 win over NYA in the semifinals.